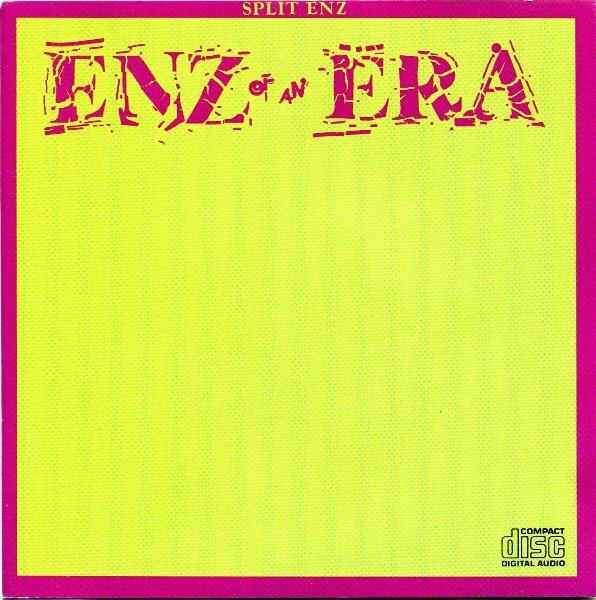 Split Enz, the Aussie/Kiwi punk/rock/vaudeville/swing band from the ‘7os and ’80s, released their first compilation album to mark their tenth anniversary, in 1983. They called it Enz of an Era, thinking it was a fitting tribute to ten good years. They had no idea at the time that Split Enz would be disbanded less than a year later, in 1984, after a massive world tour. I happen to be a huge Split Enz fan. And not just because they’re from Australia and New Zealand, although I wasn’t when they were alive and kicking. Wish I was. I would have loved to have seen that world tour. I’ve heard the live albums and I’m brought to a staggered stand-still every time. Alas, I haven’t got around to inventing time travel in real life, yet. There is a point to this seemingly random trivia about a long-gone band with weird hair-cuts, so bear with me. Split Enz may have disbanded back in 1980, but Neil and Tim Finn, two of the core band members, re-invented themselves. They created another band, Crowded House, and continued in their prolific and talented way to churn out album after album of astonishingly good and uniquely different rock music — this time without the weird haircuts. Crowded House is still producing albums and doing world tours in 2011. I’m a member of their Facebook fan page, and own all the albums. I’m listening to Crowded House as I write this post. A Split Enz song — Message to my Girl — in my husband’s personalized ring tone on my cellphone, while a Crowded House song – Weather with You — is the generalized ring tone for anyone else who calls me. Everything has a natural cycle. The year, trees, seasons, bands…and books. Today, seven of my books reach the end of their current cycle. They’ve been released from Ellora’s Cave, and going “out of print” for a while. While they’re on hiatus, I will be cleaning them up, having them edited and repackaged with new covers, possibly new titles, additional content and special features, and republished in new formats and pricing. While the books are on hiatus, their pages will show them as unavailable and out-of-print. I’ve already made the changes to those pages. It’s possible you’ll still be able to buy copies here and there until supplies of print issues are sold out, but you won’t be able to buy copies of the EC editions directly from Amazon, or Ellora’s Cave, after today.